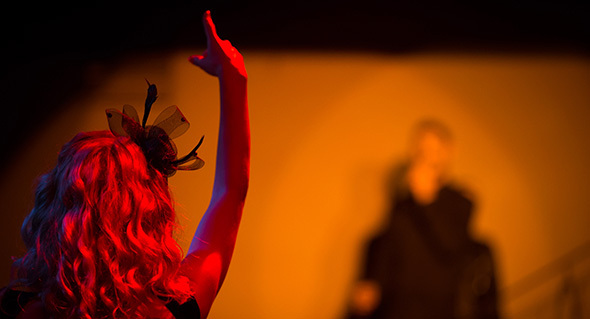 Lifeworks Productions is a company which organise Musical and Theatre productions. 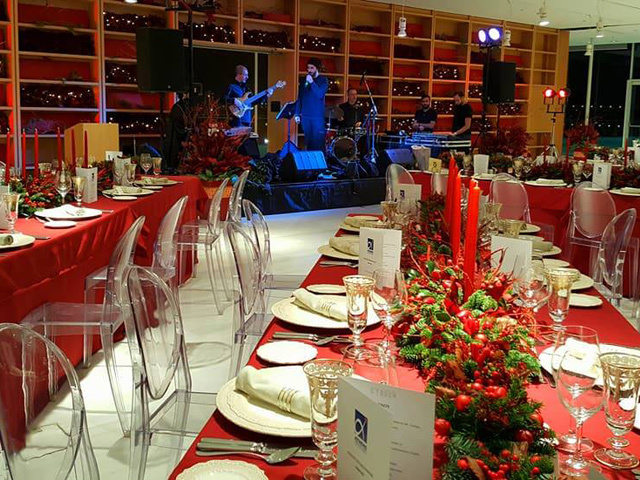 In addition, we provide live music for events such as: Award Ceremonial Events, Grand Openings, Private Parties, Gala Dinners and Dream Weddings. We design a unique music playlist adjusted to the client’s needs. 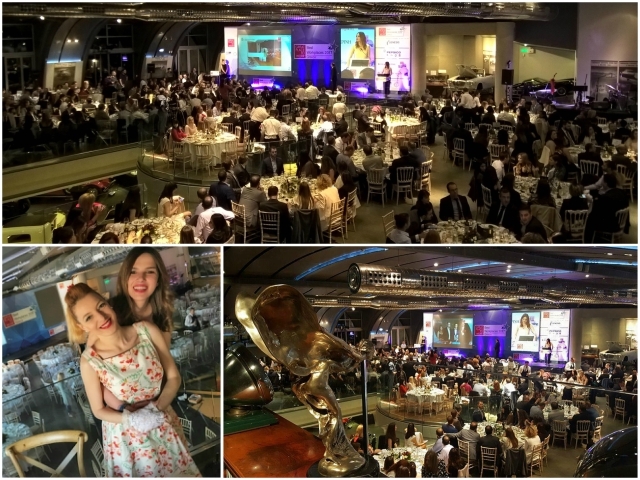 We have partcipated in social events for the International Airport of Athens, the Numismatic Museum, the Hellenic MotorMuseum, the French and Italian Embassy, Best Workplaces Awards etc. 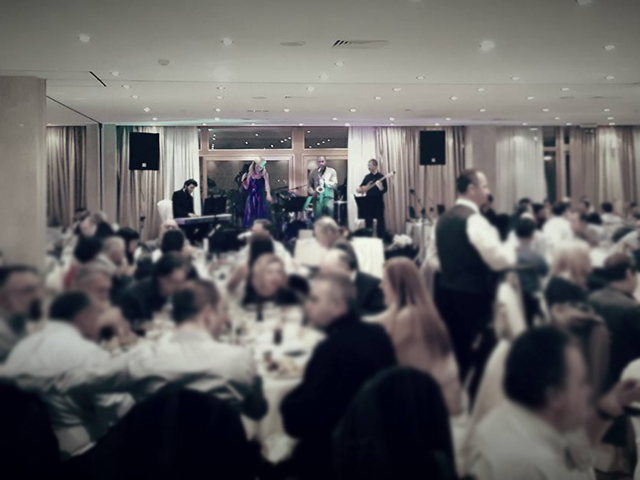 We have also organised events which have takenplace in 5 star hotels, such as Hilton Athens, St. GeorgeLycabetus, the Grand Bretagne Hotel, the Grecotel Palace Athena, the Opening of Wyndham Grand Athens, NeptuneHotels, The Plaza Resort, Divani Apollon Palace and Thalasso,Santa Marina Mykonos etc. 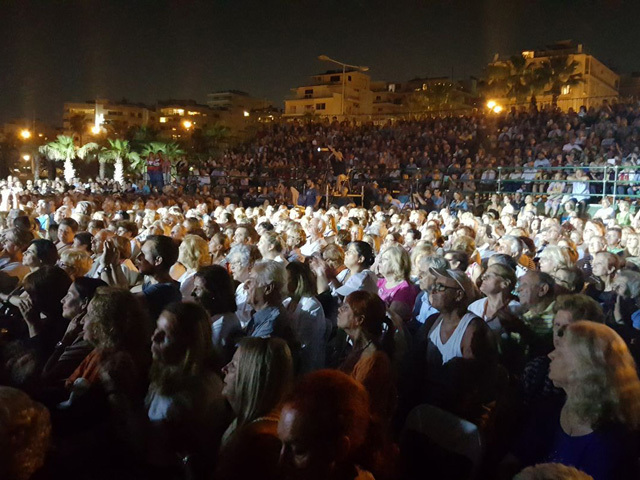 Furthemore, LifeWorks has produced a concert with the legendary composer Mimis Plessas and amazing singer Dakis. A retrospective of their 50 years common career. 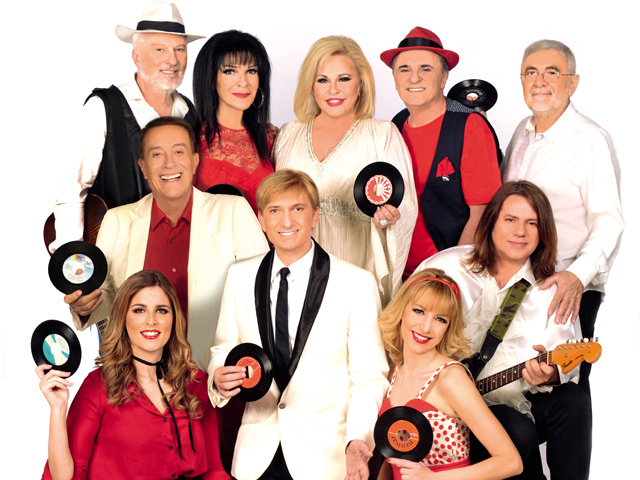 LifeWorks has also produced the musical performance ‘To proto mas party’ and organized a summer tour thoughout Greece with legendary singers from the 60’s 70’s and 80’s! 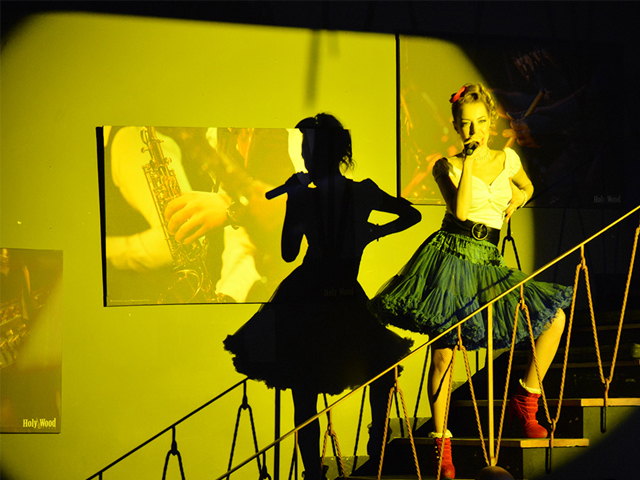 The Musical was created and directed by Makis Delaportas. 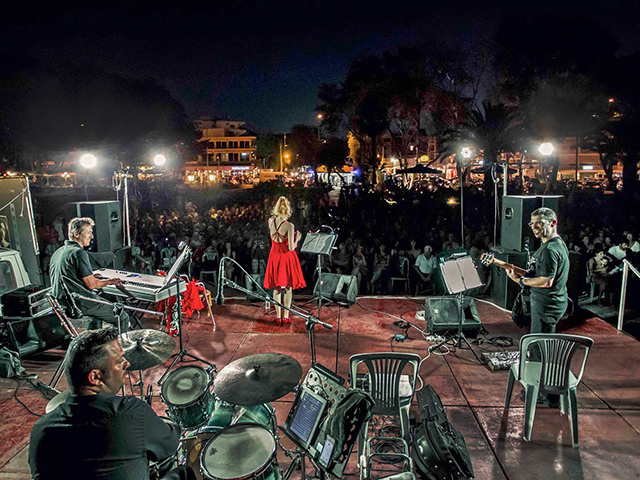 Stars as Dakis, Bessy Argyraki, Robert Williams, Lakis Jordanelli, George Polychroniadis and Sophia Vossou! Also starring Dimitris Korgialas, Evelina Nikoliza and Tina Alexopoulou. 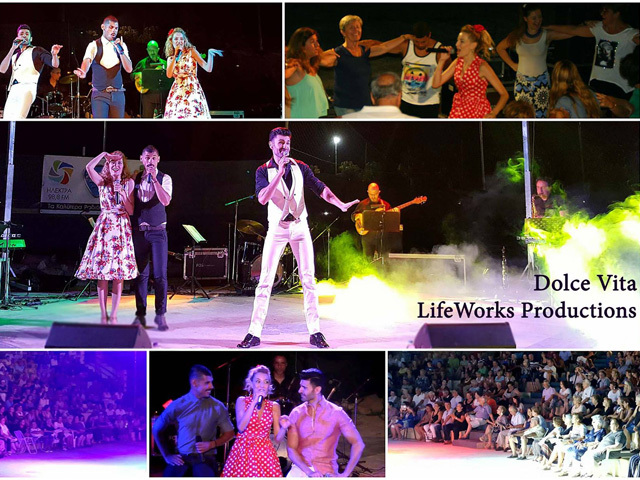 Another successful production of Lifeworks was the music show ‘Dolce Vita’ with the famous singers Panayiotis Petrakis, Tina Alexopoulou and Kostas Bouyiotis. 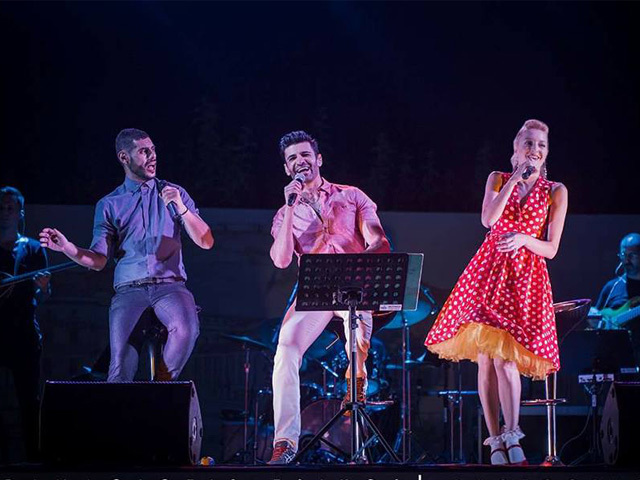 In their summer tour throughout Greece, they were received with great enthusiasm at every show. Our work is to make your dream event come true. In my opinion, the most meticulous, fully respectful homage to the unforgettable actor ever made. Tina Alexopoulou performs a show - jewellery, she gives the most genuine and authentic emotions. 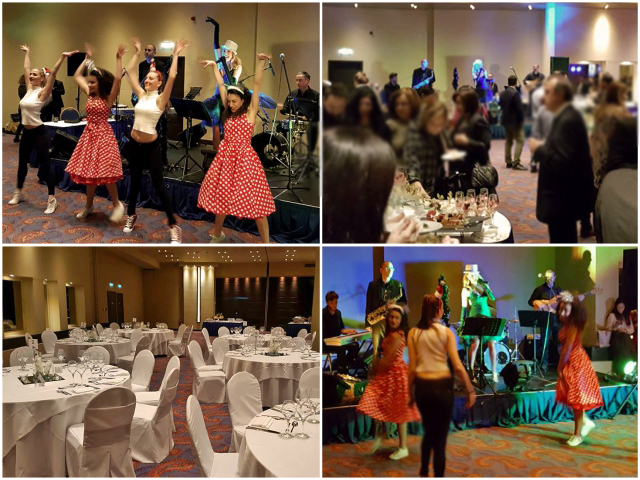 A truly amazing show with Tina & the jazzymates which upgraded our corporate event and entertained our vip guests with her unlimited multi-talent. Lifeworks guarantees high level of consistency, professionalism and creativity. Tina Alexopoulou proves that with organized work, talent, extraversion and power of the soul one can be creative even in these difficult times that Greece is going through. Here in the ancient theater of Pythagoras Tina showed us what she had achieved in Paris and at Athens. 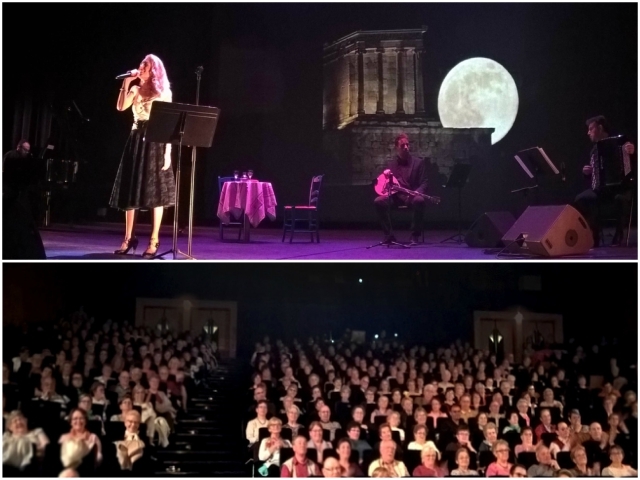 Greek singer and actress with great talent, the moving Tina Alexopoulou, gave a wonderful tribute with a brilliant performance at the Theatre “La Reine Blanche. We had the great pleasure to have Tina and the Jazzymates performing at the annual Best Workplaces Award Event for the last 2 years. Our quests truly enjoyed the wonderful, radiant show of those exceptionally talented artists and we look forward to cooperate with them again in the near future!